RAW Bottles sells brand-able, high-quality stainless-steel bottles wholesale to the festival/events, charity and sports sectors. 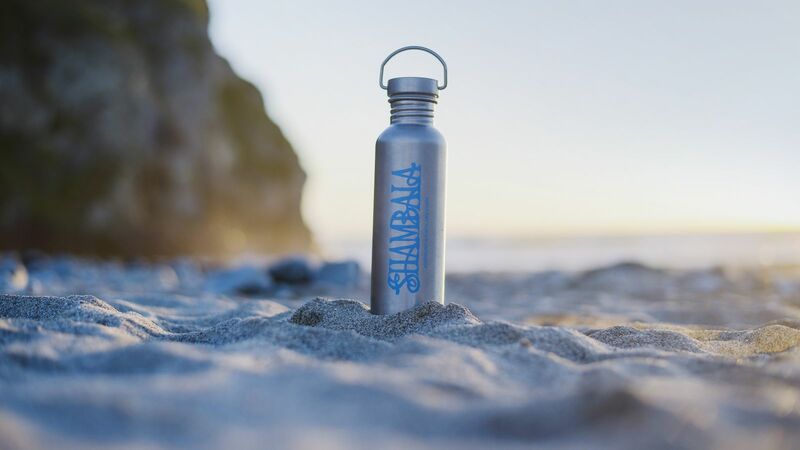 The company exists to do one simple thing – help create a world free from pointless plastic and waste – one bottle at a time. Research suggests that for every reusable bottle in use, 167 single-use bottles are typically prevented every year. RAW Bottles is the sister organisation to RAW Foundation, a UK Charity with 10 years experience in raising awareness and campaigning on pointless plastic use and pollution. In 2018 RAW Bottles and RAW Foundation worked with the Association of Independent Festivals (AIF) to create the ‘Drastic on Plastic’ Campaign (DOP), with the aim of eliminating single-use plastics in the festival sector. The campaign, which launched on Earth Day, April 22nd, saw the websites of 60 participating festivals ‘wrapped in plastic’ for a day. All participating festivals have pledged to eliminate single-use plastic by 2021. RAW Bottles, as the official partner, provided discounted bottles to all AIF festival members – to encourage and support practical, cost-effective ACTION on single-use. The campaign received significant national media coverage and achieved 15 million social media impressions. RAW Bottles has directly sold tens of thousands of bottles this year, building on the work of RAW Foundation, preventing an estimated 17.5 million single-use plastic bottles being used over the past 5 years through the adoption of reusable stainless steel bottles. RAW’s clients include Glastonbury, Arcadia, The Showman’s Show, City Councils, Shambala, Greenbelt, Port Elliot, Boomtown and national projects such as City to Sea who inspired the Refill movement. You can visit them at stall number 41 in the Exhibition stall to see samples and pick up a brochure. In advance, visit www.raw-bottles.org for information about the bottle and company, including specifications, quick quote tool and testimonials.